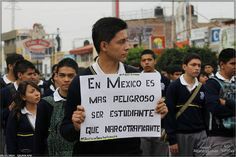 In Mexico, it is more dangerous to be a student than a drug trafficker. El Dia del Estudiante (Students’ Day) commemorates the violent beating of students by police in a protest march in 1929 at the National University in Mexico City (UNAM). The protest was over political involvement at the University and the day has been kept as a reminder of the educational freedoms fought for over the years. Violent student repression did not end in 1929 in Mexico. The Tlatelolco massacre occurred on October 2, 1968, in Mexico City, 10 days before the opening of the 1968 Summer Olympics. It remains unknown how many students and civilians were murdered by military police. Official reports and eyewitness accounts cite anywhere from 30 to 300 deaths with more than 1,300 arrested, many of whom were never heard from again. 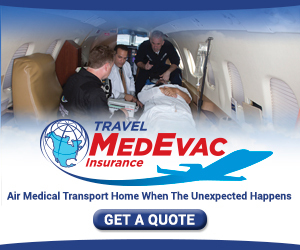 In light of events in 2014, this holiday has come to the forefront nationally in Mexico. In case you live under a bushel basket or only believe what the news reports, here’s why. A group of students from Raul Isidro Burgos Rural Teachers College arrived in Iguala, Guerrero for a protest march. A group of university students from Raul Isidro Burgos Rural Teachers College of Ayotzinapa traveled to the small town of Iguala, Guerrero for an organized protest march on September 26, 2014. This particular school has a history of social activism, including protest marches, road closures, demonstrations, and rallies. These public manifestations are designed to draw attention to the difficult living situation and lack of educational opportunities the people in Guerrero have. Police officers aggressively confronted the protesting students as they arrived in Iguala. In the shooting that followed, 6 people were killed and 25 wounded. Forty-three students were taken to the police station in Iguala, then to the police station in Cocula. Once in Cocula, they were transported to the town of Pueblo Viejo and turned over to the local members of Guerreros Unidos (United Warriors), a gang involved in drug trafficking. The students have not been heard from again. At the insistence of desperate parents, the matter was investigated. Searchers discovered a mass grave near Iguala on October 5, 2014. Later, four more mass graves were found in the area. On December 6, 2014, the body of one student was positively identified through DNA samples. Forty-two families still wait for information about their sons. At least 80 people have been arrested. More than half of those detained were police officers. The mayor of Iguala and his wife have also been arrested. Investigators discovered that the mayor’s wife is related to the leader of the Guerreros Unidos (United Warriors). However, she was released from police custody due to lack of evidence. 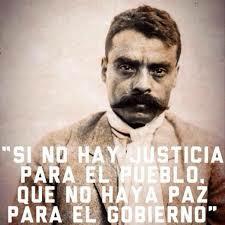 During the Mexican Revolution of 1910, one of its principle leaders, Emiliano Zapata, declared that “If there is no justice for the people, there should be no peace for the government.” With this motto in mind, families, teachers, fellow students and friends have joined together in nationwide protest marches and demonstrations demanding justice for the missing students of Ayotzinapa. The President of the Mexican Republic, Enrique Peña Nieto, has instructed the Mexican people to return to their homes and forget about this incident. He warned that continued demonstrations would be stopped with military force. As a result, each protest march since the disappearances has been met with violent police opposition. Despite this, the Mexican people continue demanding radical governmental reform, one protest at a time. Profesor Claudio Castillo Peña, asesinado por el estado Mexicano. Professor Claudio Castillo Peña was murdered during a protest march by Mexican federal troops. So much for educational freedom in Mexico. Hopefully some of the other celebrations in May are a bit more uplifting and showcase happier times. There are many bright and festive holidays in Mexico. However, holidays such as today’s are a reminder that “only in the darkness can you see the stars”–Martin Luther King Jr. I agree and hope that those stars in this situation can twinkle a little for Mexicans in the near future.